Ichiba: Tsukiji Market in Manila? Reading about Ichiba:Japanese Market, in several blogs and websites online, I really wanted to see what the fuss was about and finally went to Newport Mall. After waiting for an hour to get seated I was expecting this to be sort of a food court type thing where you can visit each station and see how they make your food. There are several stations you can see around like the fishing station, where you can get your fish and have it cooked “damp” style, there is a takoyaki and yakitori station, a bar, and then the sashimi station. 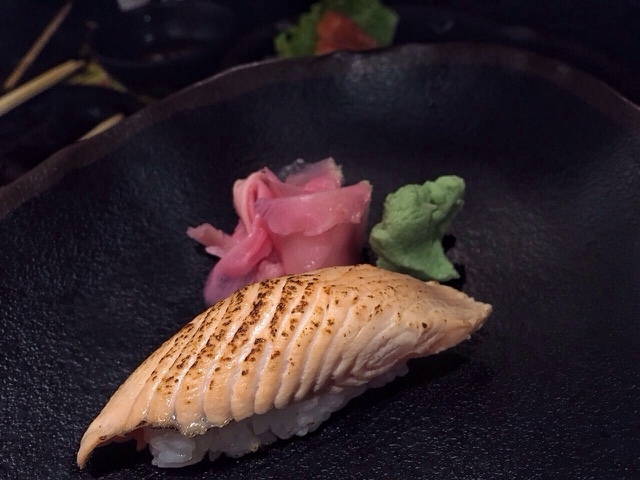 Salmon Sashimi – That is some sad sashimi, the plate is too big, and quite expensive for just for 5 slices. 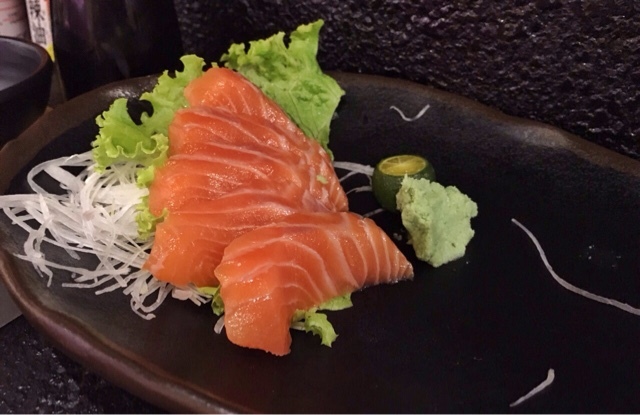 I can compare the presentation to this small Japanese restaurant I frequent in my neighbourhood where they literally just put a lettuce behind the salmon like this one. Another thing to note is that the sashimi is not fresh my lips got itchy after having one. For a restaurant trying to bring in the experience of being in a market they do fail in quality. Salmon Torched Sushi -I thought this was good actually but just too expensive for one piece at 120 pesos. 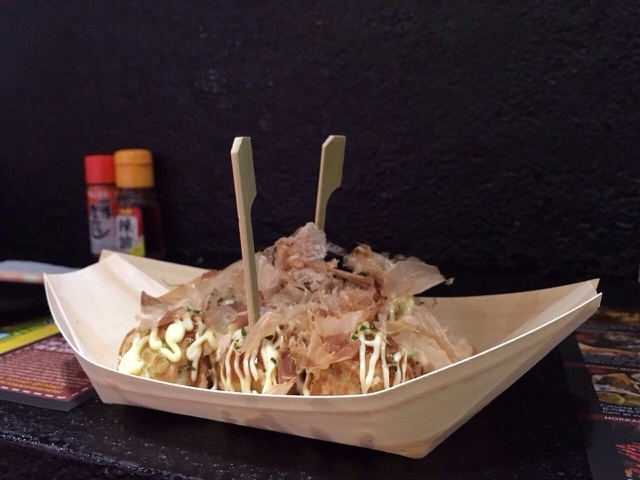 Takoyaki– This was really disappointing, those were some small balls. The sauce was somewhat non existent, that I could barely even taste it. Frankly, the one from Saibatchi is better. 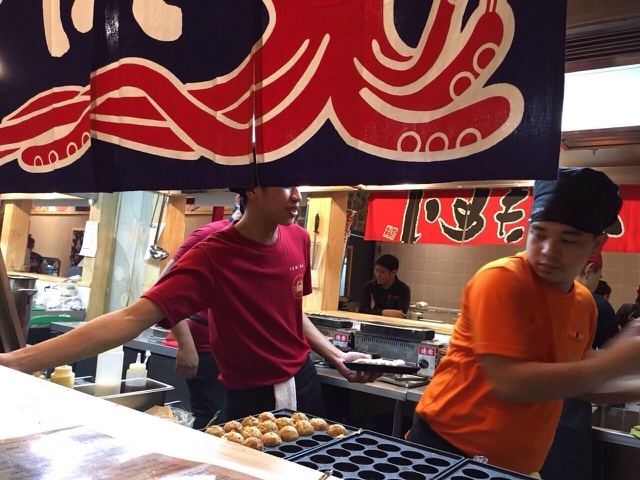 And since we were seated near the takoyaki station it was not appealing that the cook making it kept saying “standard size”, clearly, those little balls were not of adequate size or quality. Some of the takoyaki did not even contain take in it. Chicken Skin– This was recommended by the waitress, again, nothing great. 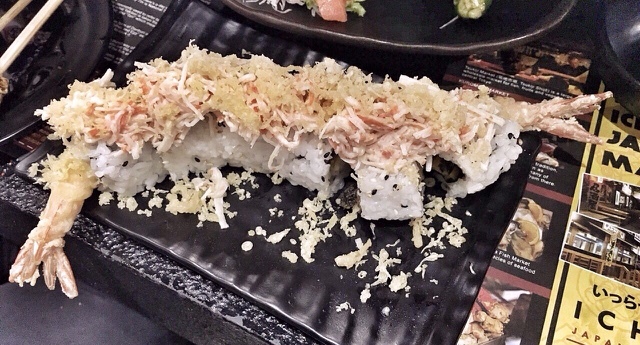 Ichiban Roll – This contained tempura, mango, salmon skin, topped with kani salad and tempura crumbs, this seriously was lacking in flavour, the kani salad was not fresh, actually didn’t even taste like it something you get off the discount section of the supermarket late at night. The batter of tempura seemed something out of a fast food chain. It was really advertised but it is not worth the hype. I saw the tempura on other tables, and it looks sad that didn’t even bother trying it. 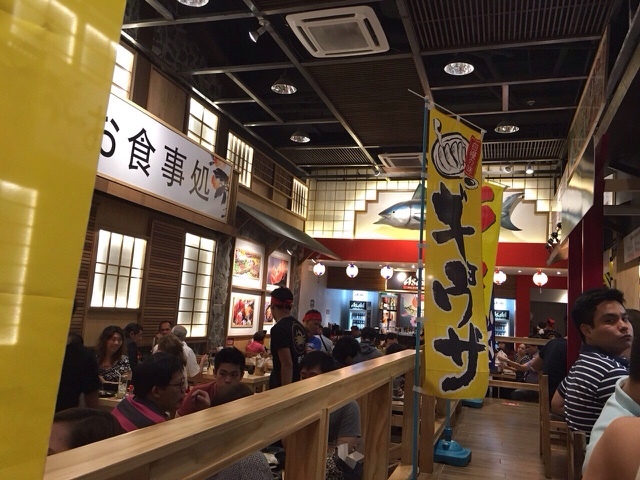 Ichiban is a poor version of Little Tokyo in Makati. To be honest, they had a good concept, but the execution is poor, food is mediocre that might as well just eat in Tokyo Tokyo. What I can commend is the service, because once you get your server, they really take care of you. Another thing was, the area was not clean, there was cockroach on the wall considering its new, I guess they’re trying to go for the “It’s a market, let’s make it dirty look”. But they’re not fooling anyone, I don’t recommend coming here for your go-to authentic Japanese. In case you’ve been living under a rock, learn more about what happened in Game of Thrones Season 7 Episode 1-6 right in time for the final episode. Find out what type of GOT Fan you are, and some predictions for the final episode. Va Bene Pasta Deli: How good is Fresh Pasta?